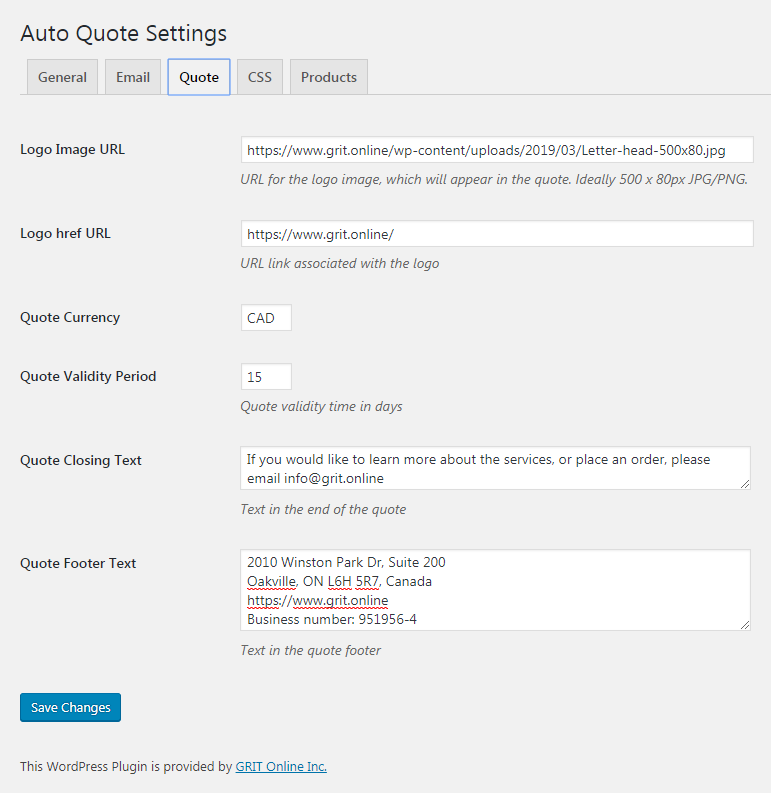 The Auto Quote plugin enables your website to automatically collect leads for your products and services. Plus, it saves you time by automating the process of creating quotes for your leads. It integrates an online form that prompts visitors to provide their contact details, and what they are looking for. Then it creates an instant quote, and contacts your new lead via email. Easily allow website visitors to get an instant quote for your services. Helps you gather and segment more high-value leads. Decrease the lag time to make a lead into a client. Helps you to save valuable time through automation. The tool can be automated with your products/services and prices. You can customize the form with your own company branding. You can also completely personalize the text of the email that will be automatically sent out. The quote is delivered via email in PDF format, based on the simple modifications that you provide within the auto quote plugin dashboard. 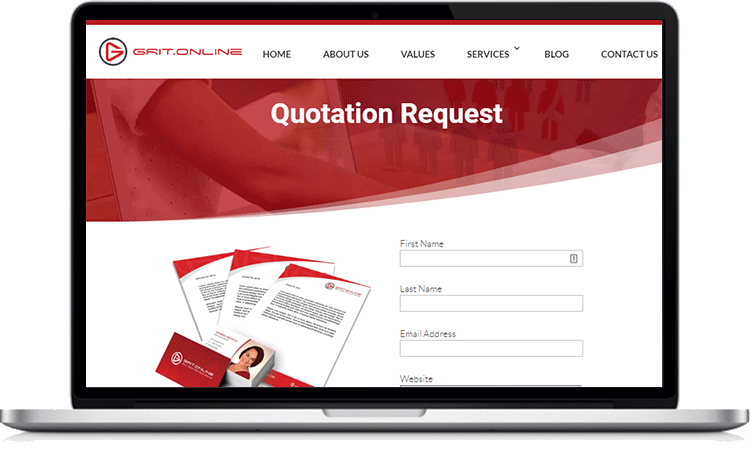 Visit the Quotation Request page here! 1. 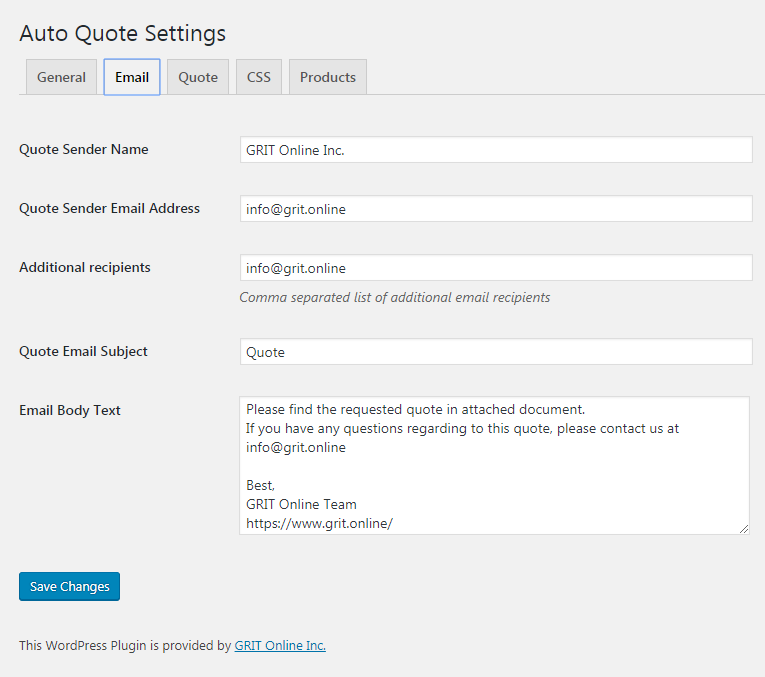 Visit https://wordpress.org/plugins/auto-quote/ by GRIT Online Inc.
2. Download and Install the plugin. 5. 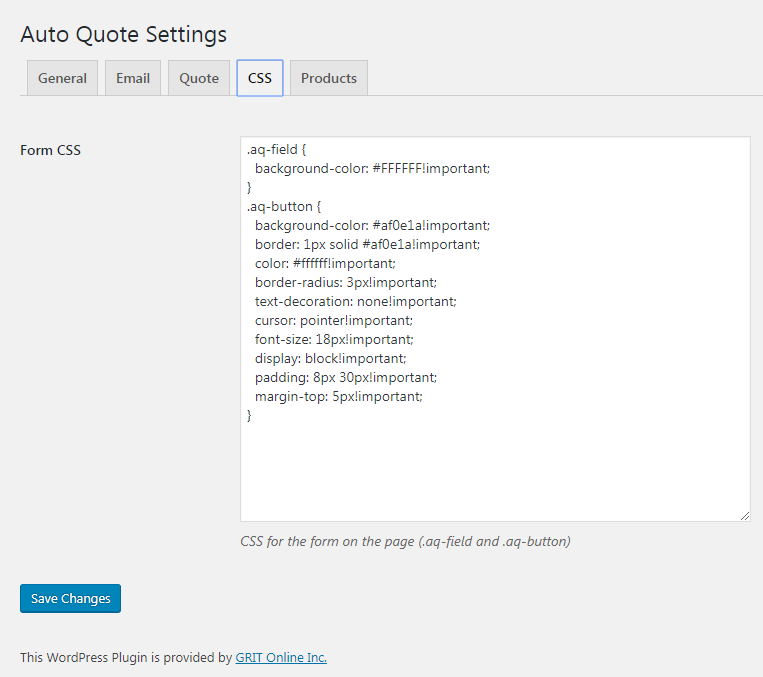 Enter your details to customize the plugin as required, and save changes. 6. Insert shortcode on your page or post. 8. Your form will be visible on the website to send out quotes.